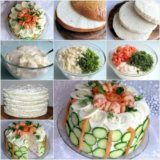 The kitchen is considered almost like a sacred space for those of us who love to be creative with our meals. 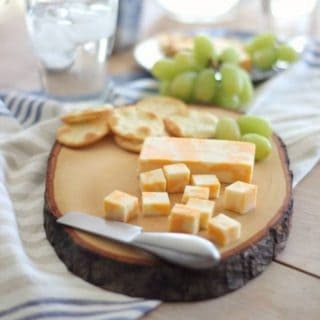 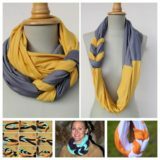 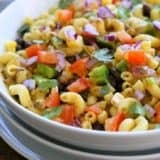 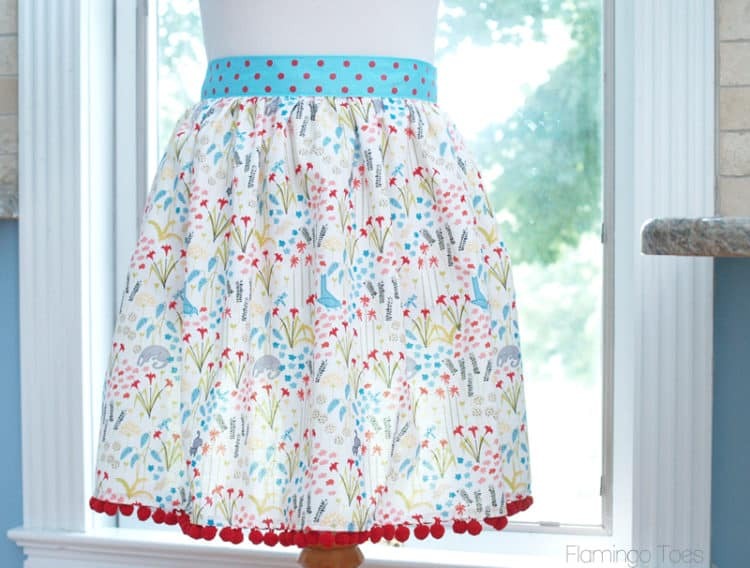 If you spend a lot of time in the kitchen, you surely want to look the part! 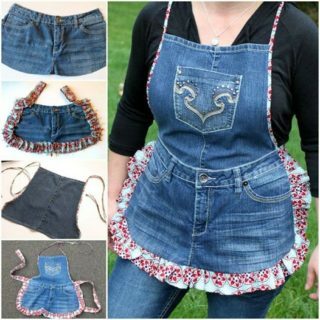 Growing up, you may have admired your grandmother’s signature apron but now is the time to create your own! 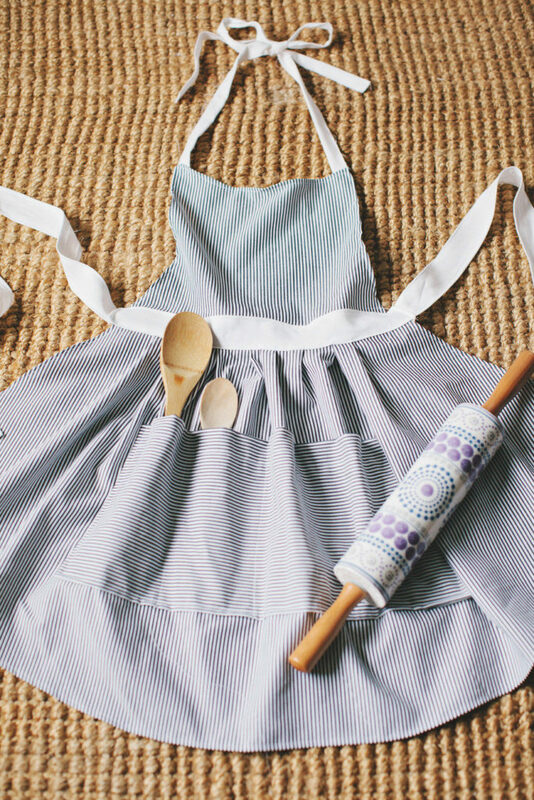 Cook in style and get inspired by our selection of DIY aprons! 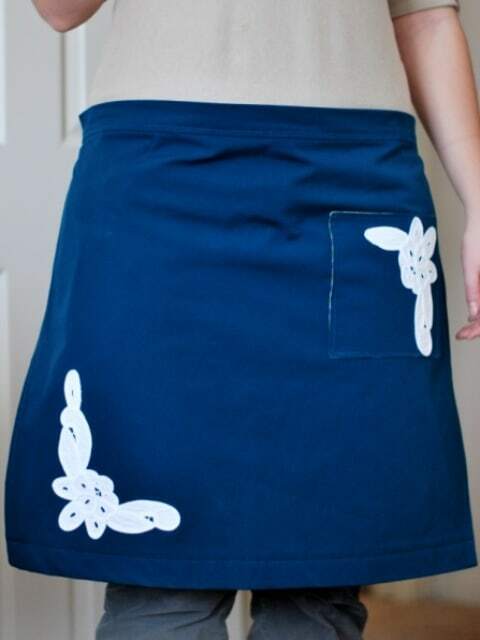 First and foremost, aprons have a job of protecting your clothes from getting messy as you’re cooking, but that doesn’t mean they can’t have an exceptionally good style as well! 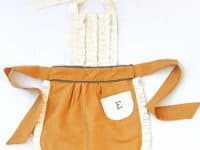 This old-fashioned apron by Fleece Fun can become a faithful companion in the kitchen and who knows, maybe one day you can pass it down to your own kids! 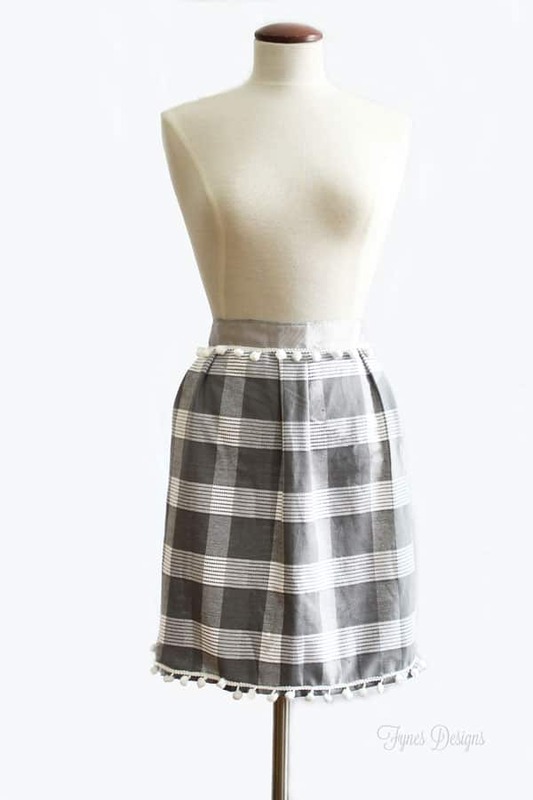 A lot of aprons have a very colorful style because they tend to look a bit retro, but if you would rather opt for an apron that doesn’t stand out too much and has a very minimalist look, we think this gray striped apron by Style Me Pretty is a great option! 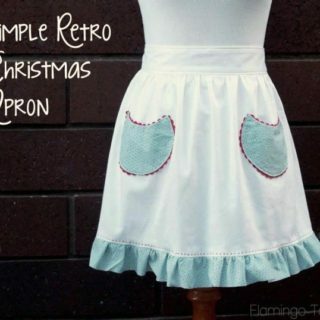 Aprons aren’t only meant for women, of course! 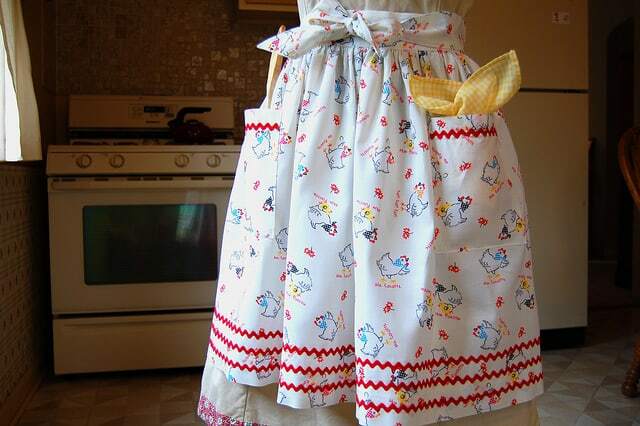 But we do realize that a lot of apron designs are only made with women in mind. 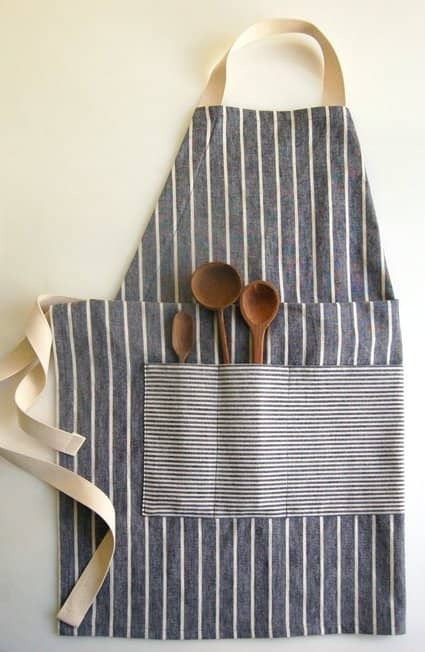 Here’s a fantastic apron created by Purl Soho that is totally unisex! 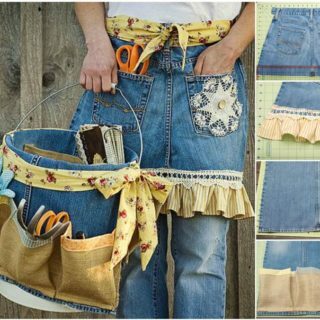 Make one apron and share it with your significant other any time! 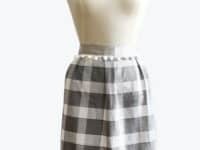 A simple fabric is more than enough to create a great apron that’s going to be incredibly useful anytime you’re baking in the kitchen! 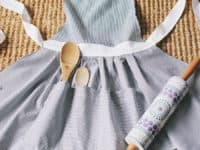 It doesn’t take much to give it a vintage style, so check in with Bijou Lovely and learn all the details about this mesmerizing blue vintage apron! 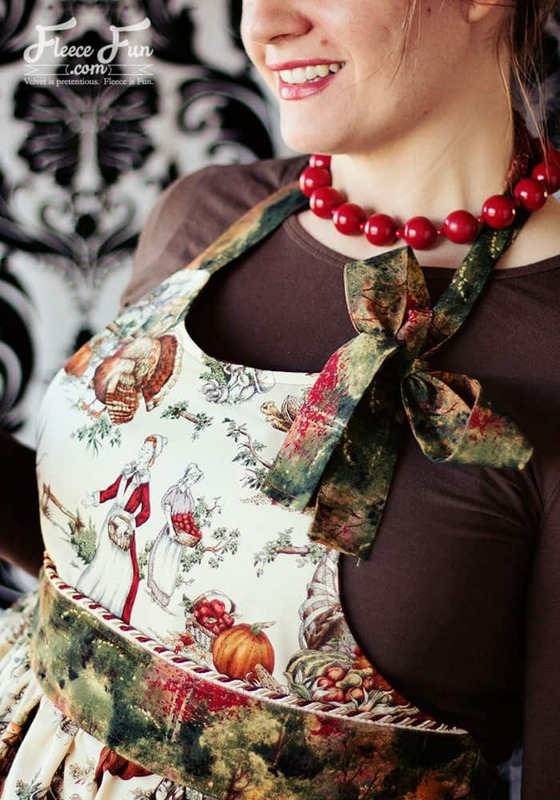 If you are known for your diverse style, we imagine your cooking attire isn’t going to be an exception. 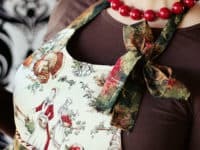 You don’t have to worry about getting bored with your apron too quickly because 7 Layer Studio shares a tutorial for a reversible apron that blesses you with two aprons in one! 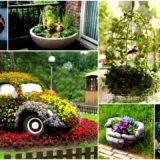 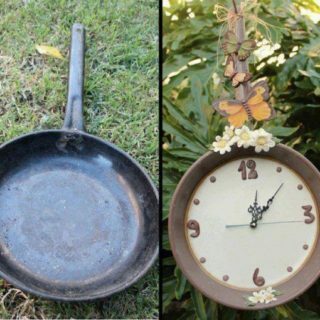 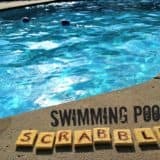 DIY projects often generate a lot of waste. 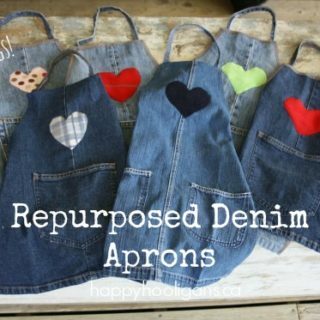 There’s always left over fabric scraps and other materials that we throw away but Miss Sews-It-All decided to do a minimum waste apron for those of you who are committed to creating less waste with your DIY creations! 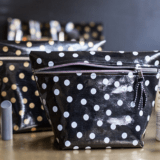 Handkerchiefs aren’t as popular anymore as they used to be, but many of us still have a big box of them at home that’s been passed down to us by older family members. 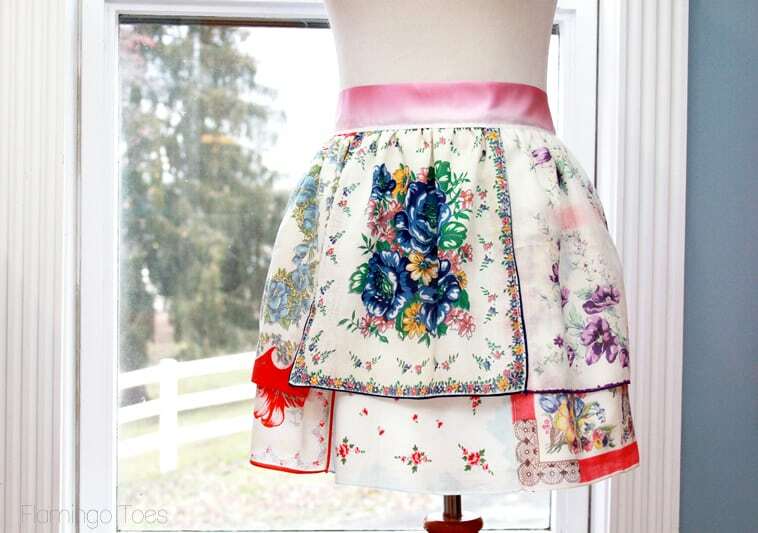 If you have any vintage handkerchiefs at home or you find them at a thrift store, you can turn them into a beautiful apron with a few tips from Flamingo Toes! 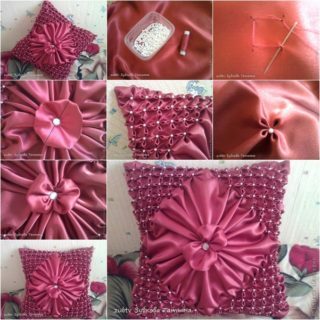 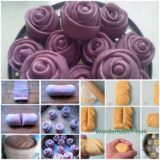 Creating your very own apron definitely calls for some fabric, but if you are simply not in the mood to go fabric shopping, open your drawer with pillow cases and see if you can find one that you particularly like. 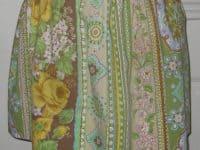 Visit Glitter, Vinyl & Thread to learn how that pillow case can become an apron! 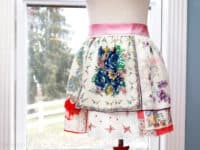 You’re skimming through this article and saying to yourself that you just don’t have the time to make an apron, no matter how much you want to sport a custom made one. 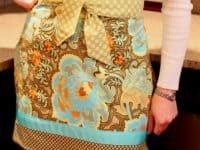 The apron we found at Flamingo Toes will only take 30 minutes of your time, so no more excuses! 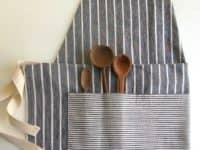 You don’t have an apron but you have countless dish towels that are overcrowding your cupboards. 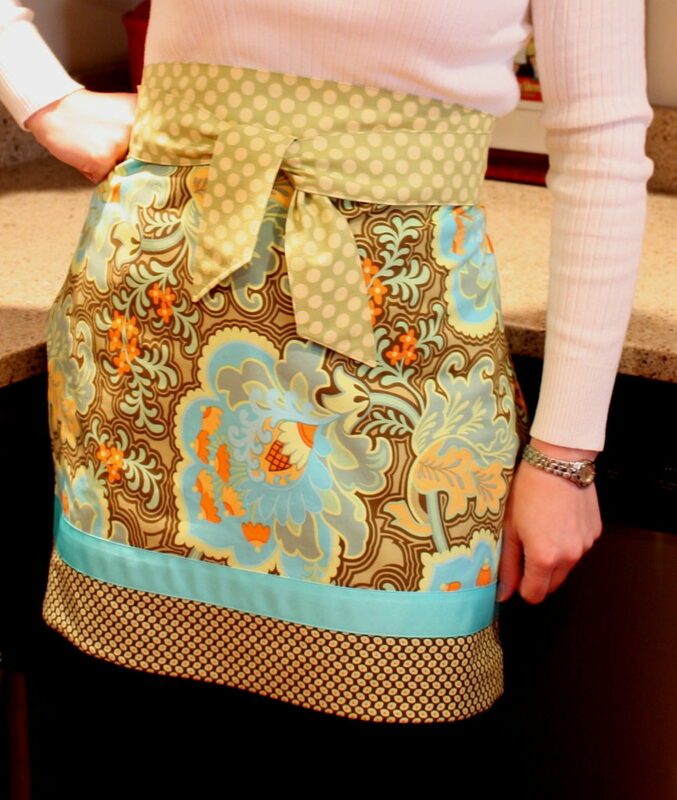 It’s time to repurpose some of those towels and create a chic apron for yourself that is always going to inspire you to cook! 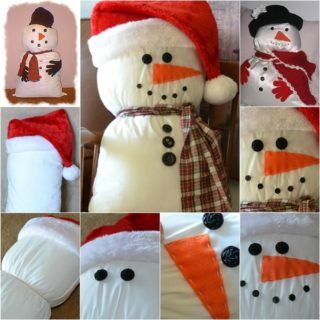 You can see the whole process at Fynes Designs! 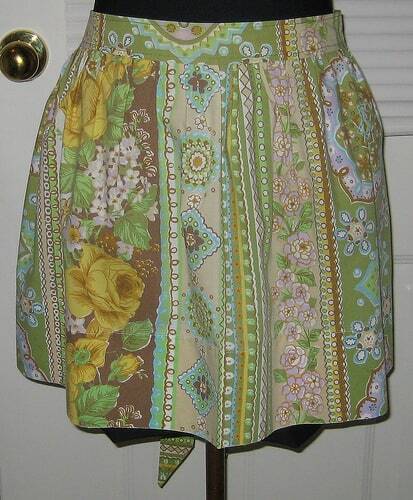 Ruffles are so much fun and we absolutely can’t resist the old-fashioned look of a ruffled apron! 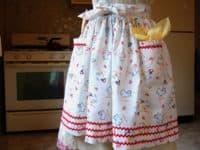 If you’ve been searching everywhere for an apron that’s full of ruffles with no luck, you can now make it yourself by following the tutorial at Blue Robin Cottage! 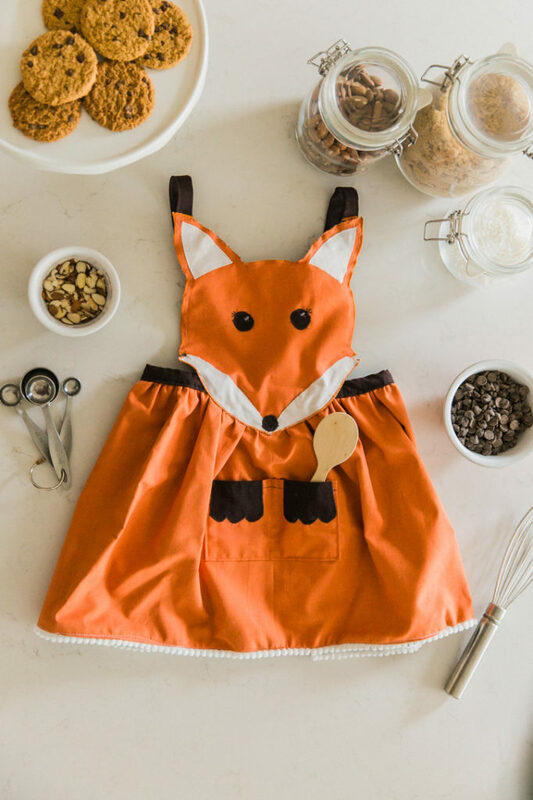 Adults aren’t the only ones who enjoy wearing an apron while cooking! 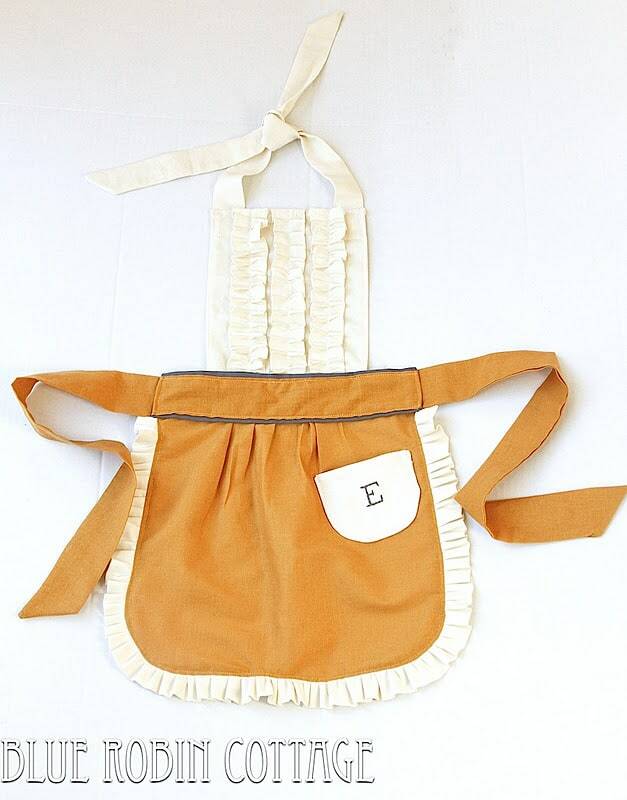 If your kids love to help out as you’re cooking their meals, they deserve to have an apron too! 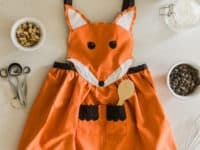 Simple as That shares the tutorial for the most adorable fox apron that’s going to make your little one super happy!